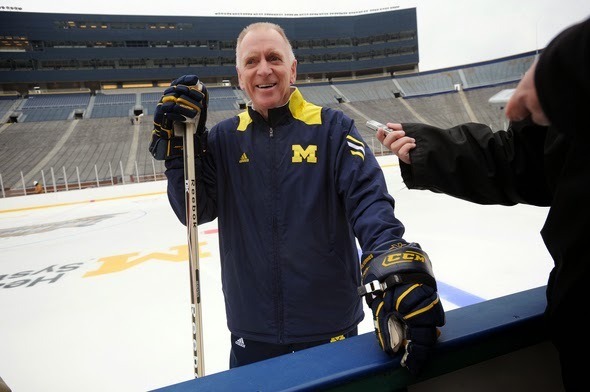 Earlier this week legendary Michigan hockey coach Red Berenson announced that he will in fact be back behind the bench next season, his 32nd as the Wolverines head coach. Berenson 75, has won 810 games as a head coach and is ranked fourth all time on the college hockey head coach all time wins list. Berenson is a three-year U of M varsity letter winner, and former captain of the Wolverines, he is the fourth former captain to coach the Wolverines. After graduating, Berenson went on to play professionally for the Montreal Canadiens, New York Rangers, St. Louis Blues, and the Detroit Red Wings. His coaching career started in St. Louis, winning the Jack Adams Award for coach of the year in his second season with the Blues. 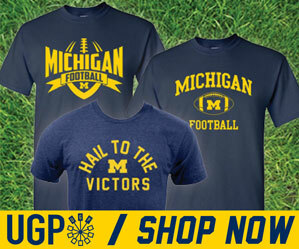 Berenson took over a struggling Michigan Wolverines hockey team in 1984, and his turned the program into a perennial powerhouse. In his 32 seasons as the Wolverine head coach Berenson has led the team to 11 Frozen Four appearances and two NCAA championships. Berenson led the team to a college hockey record 22 consecutive NCAA Tournament appearances from 1991-2012. In addition to the tournament accolades, Berenson has led the Wolverines to 13 Great Lakes Invitational titles. Nobody could imagine attending a game at Yost with anybody other than Red Berenson confidently standing behind the bench, and leading his team to victory. For at least one more year Wolverine fans get to watch games with one of the great college hockey coaches posted behind the pine.